The Beaumont was originally built as a farmhouse and the main part of the building dates back some 300 years. The ‘younger’part was built in 1889. Each of rooms is a different shape and size but they are all comfortably furnished and equipped with Freeview TV channels, Wi-Fi, Hairdryers, Bathrobes and a generous hospitality tray. All of our double &twin bedrooms have en-suite shower &WC. 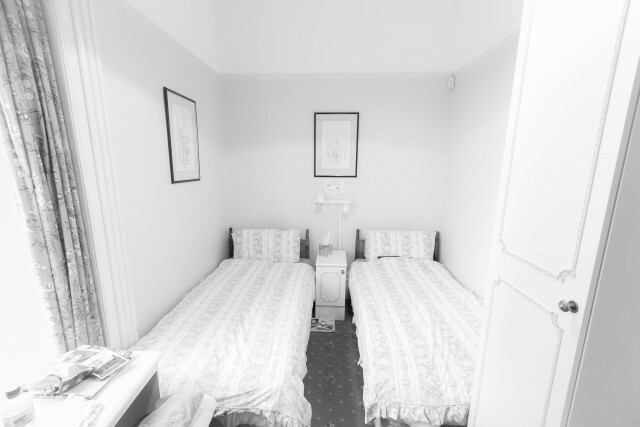 We also have some smaller (and cheaper) single rooms with ‘private’bathroom or WC, i.e. located outside of the bedroom but for your exclusive use. None of our rooms have shared bathroom facilities. Any of the larger twin &double rooms maybe booked for single occupancy. Most of our rooms are at the front of the property, which is nearest to the road. We are aware that some guests find this a distraction. 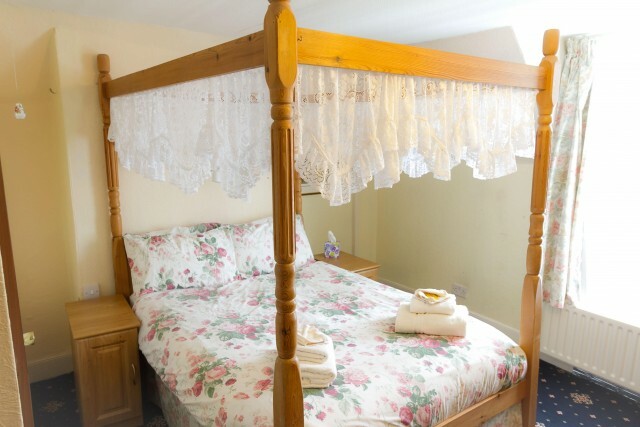 We offer two rooms at the rear of the property, a single with a separate private bathroom and one of our twin rooms. We do provide complimentary ear plugs. 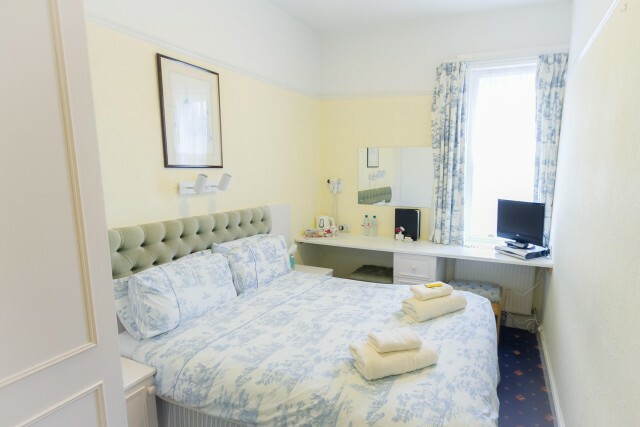 Standard double room with ensuite bathroom (shower, sink and WC).Also free Wi-Fi, freeview TV, tea & coffee making facilities, hairdryer and complimentary toiletries. 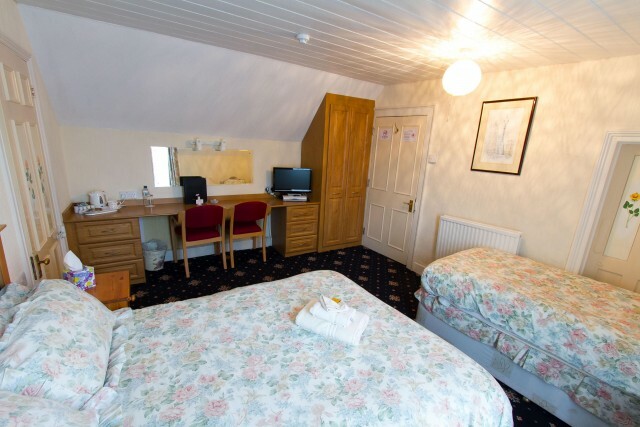 Standard twin room with ensuite bathroom (shower, sink and WC).Also free Wi-Fi, freeview TV, tea & coffee making facilities, hairdryer and complimentary toiletries. 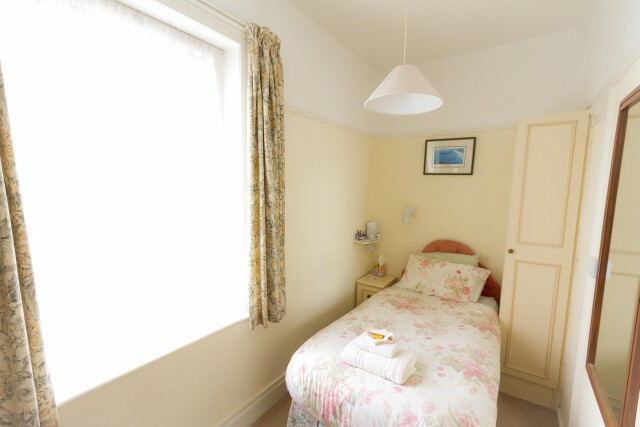 Standard single room with ensuite bathroom (shower, sink and WC).Also free Wi-Fi, freeview TV, tea & coffee making facilities, hairdryer and complimentary toiletries. Single with separate private bathroom. 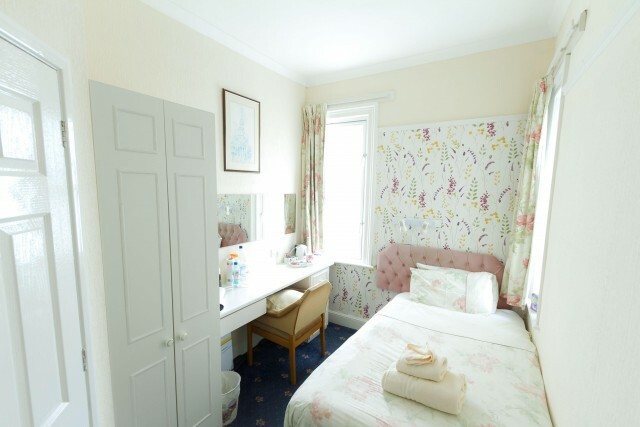 A compact room, but it has everything you need.Freeview TV, Wi-Fi, tea & coffee making facilities, bathrobe, hairdryer. Bathroom has shower, sink and WC. The bathroom is a short distance away from the room, down a few steps. 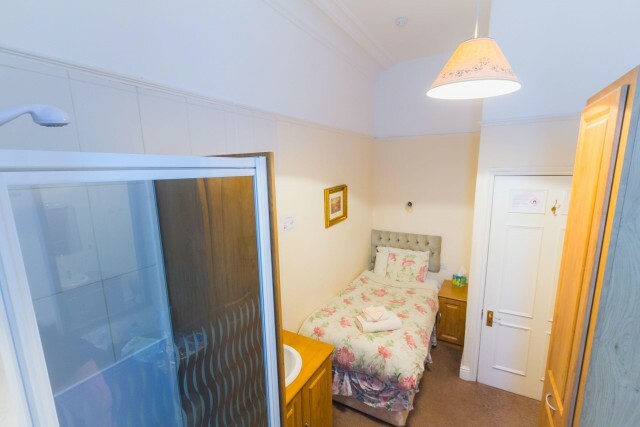 Single with ensuite shower and separate private toilet.Also free Wi-Fi, freeview TV, tea & coffee making facilities, hairdryer and complimentary toiletries. 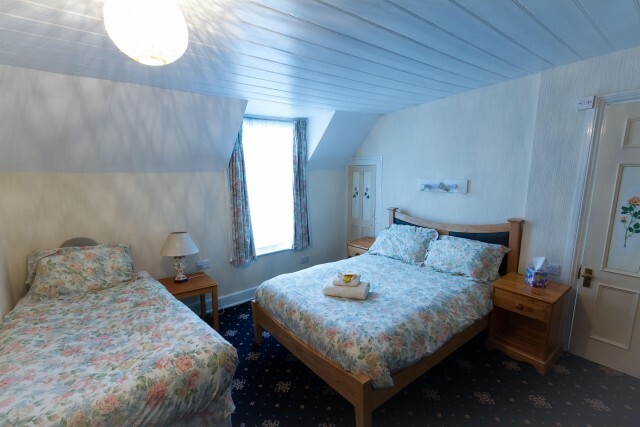 Family room (double bed and single bed) with ensuite bathroom (shower, sink and WC).Also free Wi-Fi, freeview TV, tea & coffee making facilities, hairdryer and complimentary toiletries.